Imagine my surprise when my friend Jennifer called me last week and said Tesla is giving us a car to test drive for a few days! Saaaaaaaay whaaaaat?! 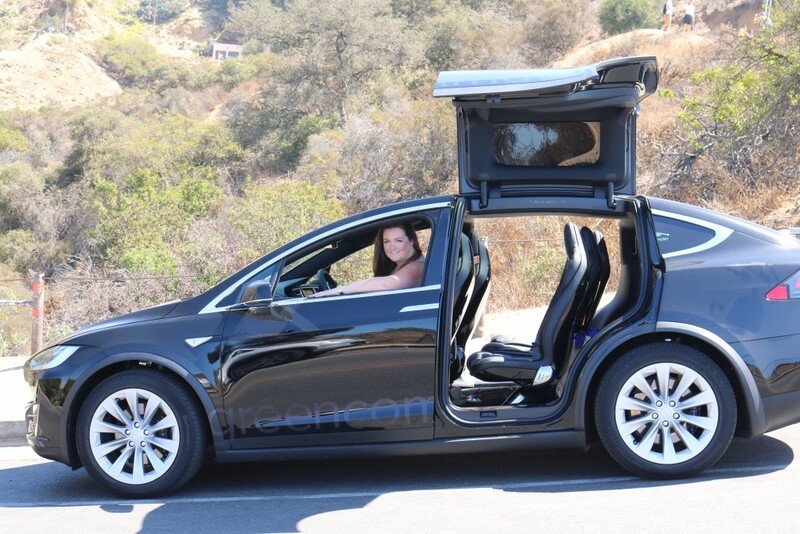 We get to take the gorgeous Model X with falcon doors, that hardly anyone owns, out for a spin?! Talk about bragging rights – YES, PLEASE! Thanks to GreenCommuter.org you too can have this awesome experience for a ridiculously economical price. 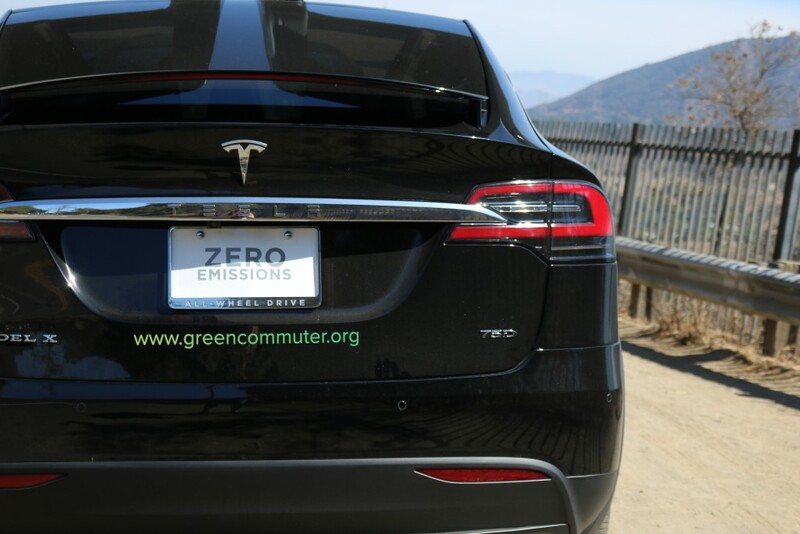 For those of you who aren’t familiar with them, they are a clean energy company committed to bringing cheaper and greener commuting options to cities like LA and if you sign up now through their Indie Go Go campaign, you will be helping them bring a fleet of Telsa’s to town. 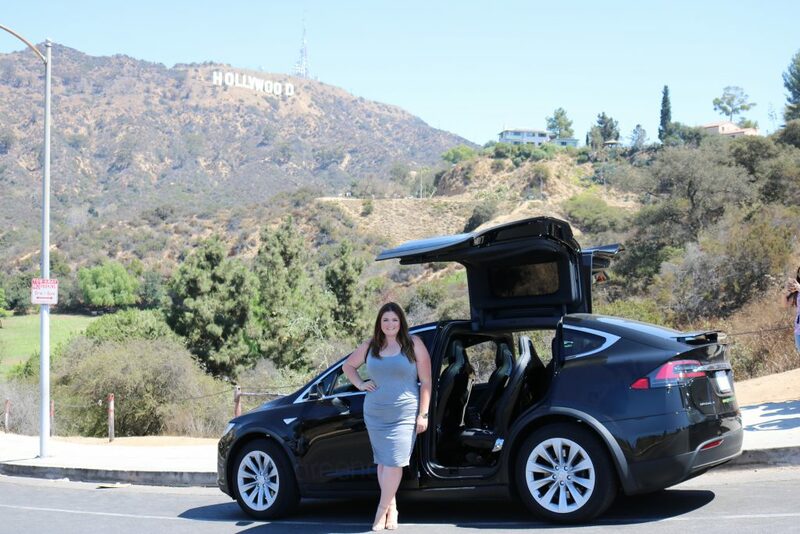 Jenn informed me that for a limited time, LA will have the opportunity to rent a Tesla Model X for either $10/hour (WHAT!) or $150/weekend (NICE!) to enjoy the fancy ride from Friday to Sunday night. You won’t be able to actually take the cars for a spin until December of this year, but you have to act now if you want in on this amazing deal. 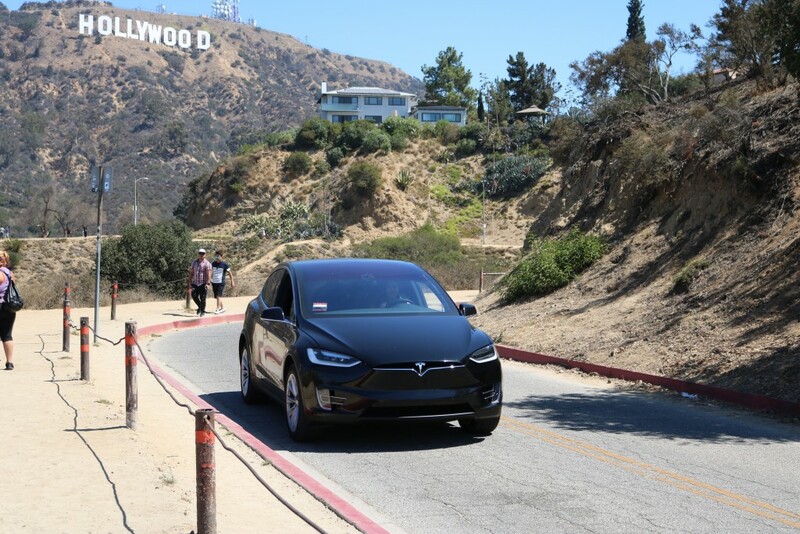 After the obligatory Hollywood Sign pics, we decided to head up to Santa Barbara to really put this car to the test. 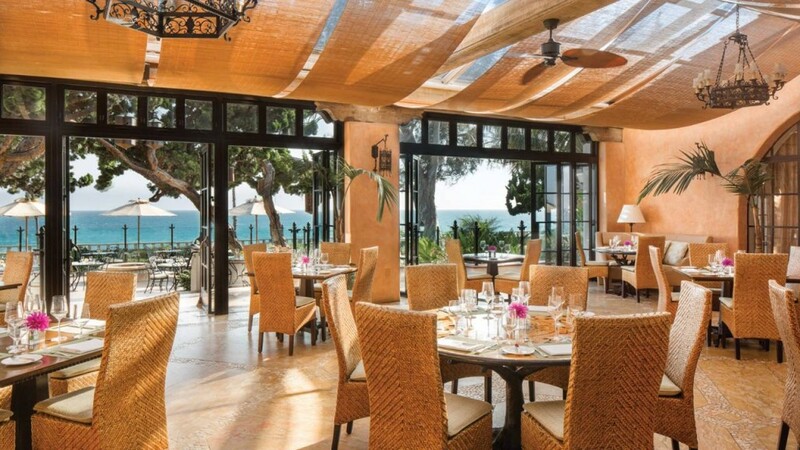 Let me tell you, it did not disappoint as we made our way up the coast to the Four Seasons Resort where we had lunch at the Bella Vista. This car has all the bells and whistles you would expect in a luxury vehicle and then some. 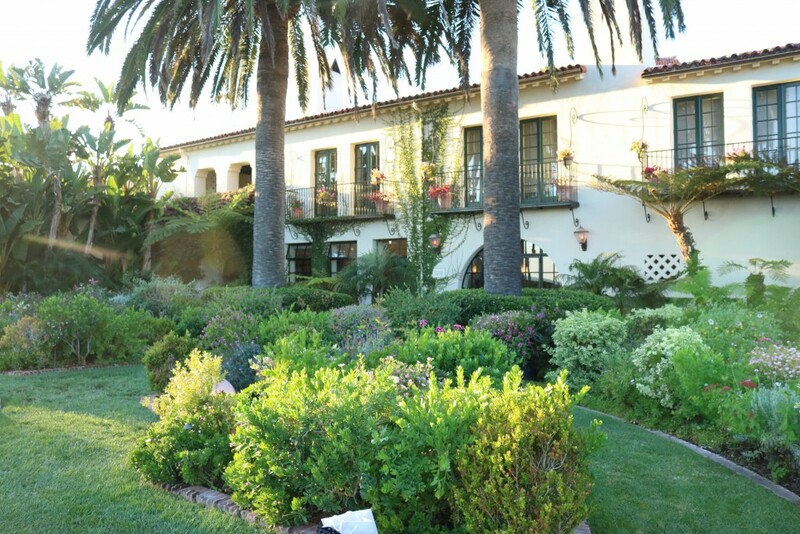 Nestled right along the coastline on acres of lush green grounds like some castle in a fairy tale, the Four Seasons in Santa Barbara is magnificent. 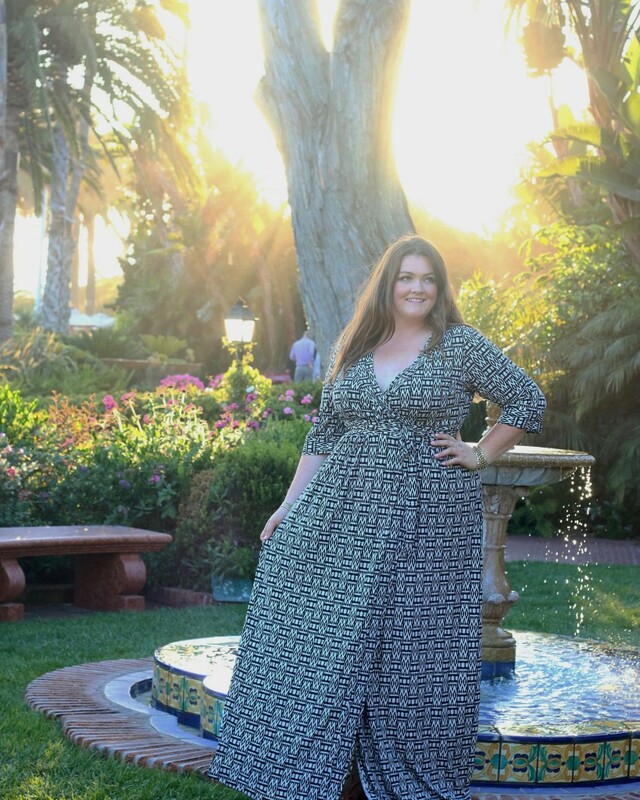 So, naturally we had to explore the grounds and do a mini photoshoot, because come on, it was just that gorgeous there. 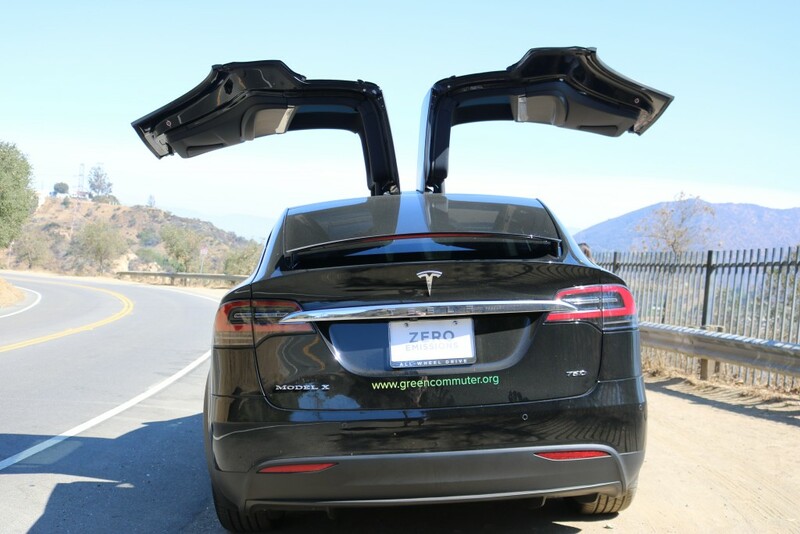 Thanks to The Four Seasons Resort in Santa Barbara for inviting us up for lunch and of course thank you to Tesla and Green Commuter for making all of this possible! 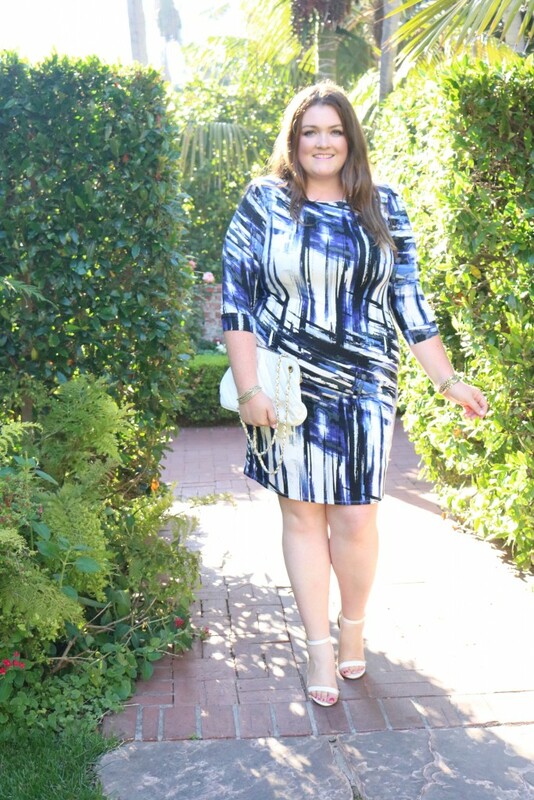 Dresses c/o Torrid, Melissa Masse, and ABS By Allen Schwartz. This is so cool! Thank you for sharing this. I want one right now!! You look lovely and what a cool opportunity! Definitely cool! Too bad you don’t live here but look for them in other cities soon!